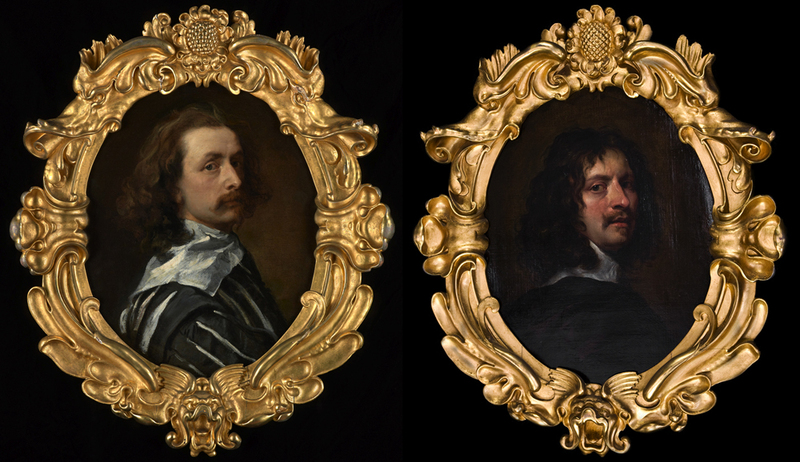 The vivid self-portrait (left) – painted just before Van Dyck’s early death in 1641, and which has now been acquired for the National Portrait Gallery – is notable not only for its technical skill and immediacy but for its dramatic Mannerist frame. It is also linked, in an intriguing way, to the self-portrait painted by William Dobson in homage (right), which has an almost identical frame. Dobson produced his own portrait around 1645 (he died only five years after Van Dyck, at the even earlier age of 35) and the two paintings were united (probably around 1708), remaining in the same collections until Van Dyck’s Self-portrait was sold in 2009. Van Dyck and Dobson were both precociously gifted artists, who developed on the cusp of Mannerism and the Baroque. Van Dyck, born in Antwerp in 1599, began his training at the age of ten and achieved membership of the Guild of St Luke at nineteen; somewhere between these two points he was taken on as an assistant to Rubens. He seems to have been working for Rubens when the latter signed a contract with two Brussels tapestry-manufacturers and a Genoese dealer, Franco Cattaneo, to produce cartoons for the Decius Mus cycle of tapestries; Simon Turner notes that Van Dyck was probably responsible for the set in the Liechtenstein Collection. In 1620 Van Dyck visited England briefly, when he received a mysterious payment of £100 – a very large sum – which apparently does not relate to any particular painting or paintings. 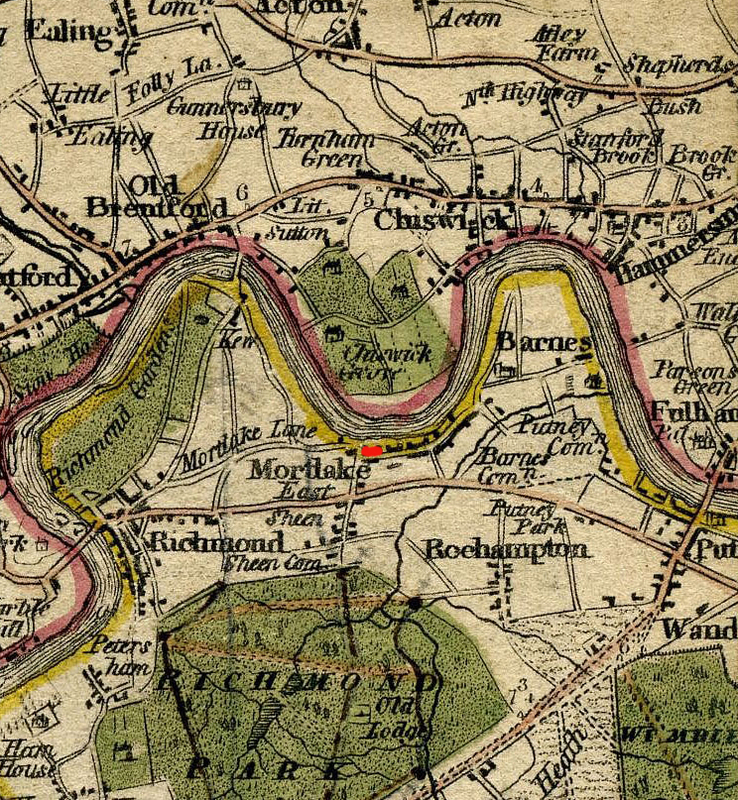 Turner speculates that it might have been in connection with Van Dyck’s potential employment at the Mortlake tapestry factory, which had been founded recently, in 1619, as a rival to its French equivalent. Having worked on the design and preparatory cartoons for such important tapestries as the Decius Mus cycle in Rubens’s studio, he would (although still very young) have been as well qualified in the king’s eyes for this prestigious job as he was for the production of royal portraits; his painting, The continence of Scipio (1620-21, Christ Church Picture Gallery, Oxford), is suggested as having been designed for a Mortlake tapestry. In the event, however, Van Dyck spent only a few months in England and travelled instead to Italy, where he moved between Genoa and Rome. Genoa plunged him into the midst of a vibrant artistic movement, generously influenced by Mannerism, in the midst of which there was already a thriving group of Flemish artists. Rubens, his master, had lived and worked in Genoa more than a decade earlier, and had probably also been producing the images for his album of Genoese palaces (Palazzi di Genova, published in 1622) whilst Van Dyck was employed as his assistant. This context of Italian Mannerist architecture and ornament, encountered whilst Van Dyck was still developing as an artist, seems particularly important given that he was later to take a positive role in framing his work. Once settled in Genoa Van Dyck painted various members of Genoese nobility, including The Lomellini family, An Italian noble, and the Marchesa Elena Grimaldi Cattaneo and her children . Whilst employed on these last commissions by the Grimaldi family, he would almost certainly have visited the Grimaldi chapel in San Francesco di Castelletto (1579-82; destroyed during the first quarter of the 19th century). The interior of this had been designed with architectural elements and bronzes by the Flemish Mannerist sculptor and architect, Giambologna (1529-1608). 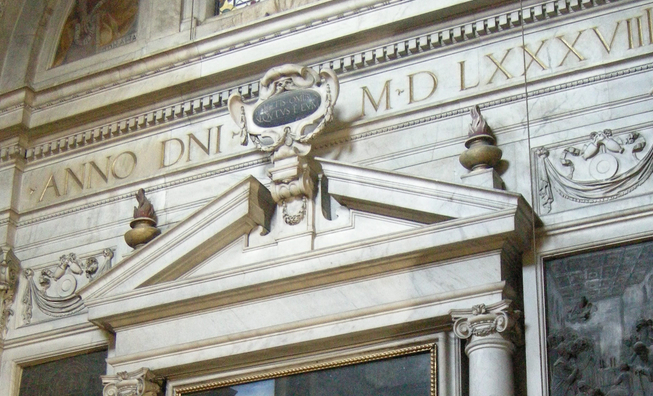 From the evidence of Giambologna’s work in the similar Salviati Chapel of San Marco, Florence, and his influence in other Genoese churches such as San Pietro di Bianchi, it is clear that his brand of Mannerism was beginning to diverge from the hard-edged scroll and strapwork style of the earlier Italian style, to be touched with the melting curvaceousness of the Auricular forms found in Bohemian versions of the style. 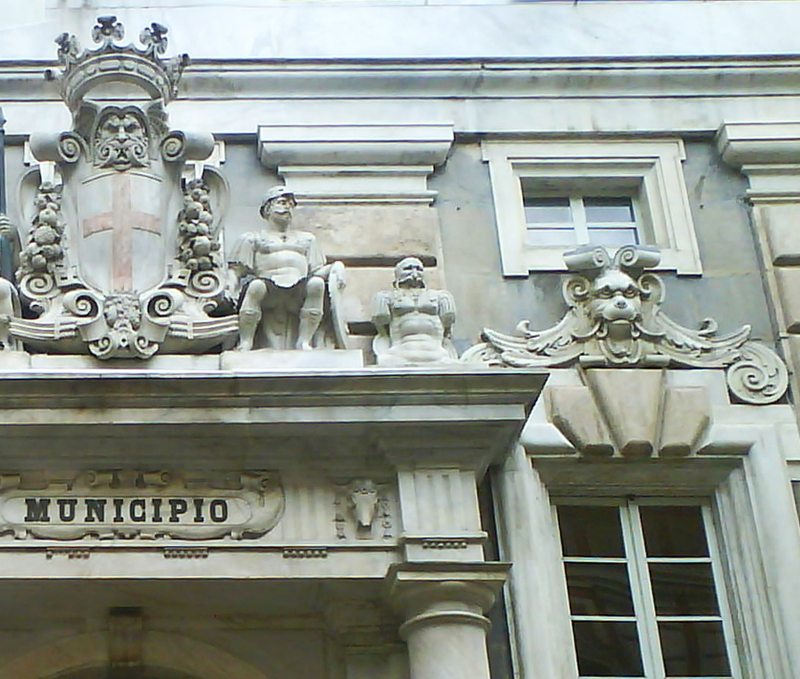 The façade of the Palazzo Doria Tursi, Genoa, built from 1565 by Domenico and Giovanni Ponzello, another commission for the Grimaldi family, demonstrates a related use of Mannerist forms and ornaments. In the sculptural crests of the entrance and the neighbouring windows, grotesque mascarons are prominent, and the wings of the lion-headed window frontons already have the strange scooped and fluted forms of the feathers springing from the base of Van Dyck’s self-portrait frame; they are also similarly associated with softly curving acanthus leaves. This style was already, by the second half of the 16th century, influencing the design of picture frames in Italy: the apron of this tabernacle frame, with its Mannerist cartouche, is supported by winged sirens with the bodies of serpents and the heads of women, in the zoömorphic style of the Self-portrait frame; their wings have the same fluted feathers as the window frontons of the Palazzo Tursi. Genoa was not the only centre where Mannerism was distorting the classical forms of the Renaissance; the court of Bohemia, in Prague, was another. Giambologna, retained in Florence by the Medici, never travelled there, but his pupil and assistant, the Mannerist sculptor Adriaen de Vries, was employed by the Emperor Rudolf II (1552-1612), as was the silversmith Paulus van Vianen, whose work is in the full-blown Auricular version of Mannerism. The tightly scrolling volutes on the pediment of the Palazzo Tursi are softened in this idiom to the ear-like, cartilaginous forms which give the style its name. 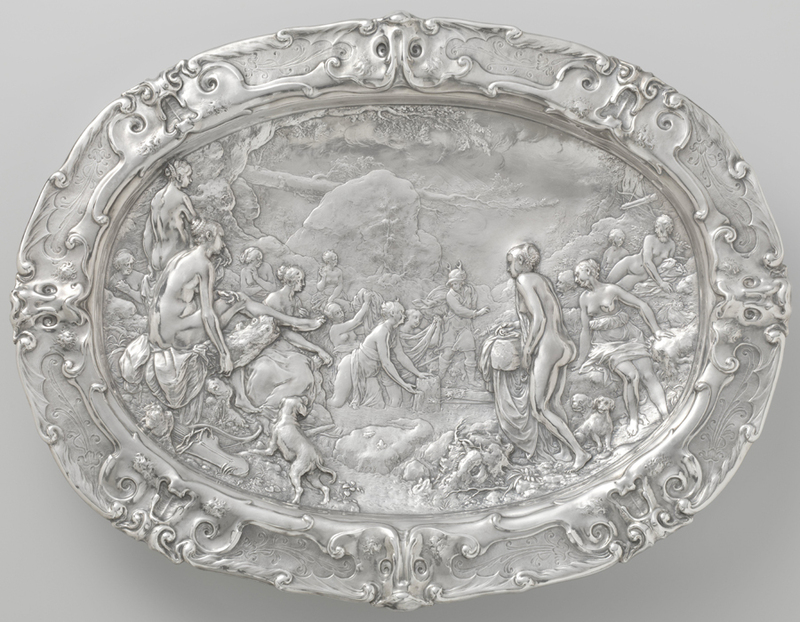 The objects he produced in the fluid and almost abstract vocabulary of the Auricular style were exhibited beside the king’s paintings, as treasured pieces of art, rather than functional items for the table or buffet. The Dolphin Basin (1635; V & A), for instance, is an example of his fully-developed style; the twinned dolphin heads at the top of the basin morphing together into a grotesque mascaron with a single open mouth. 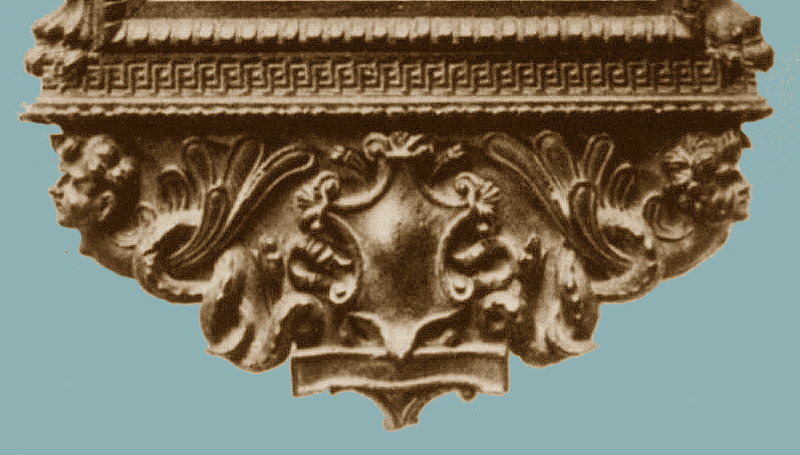 Marine motifs of this sort are a feature of Mannerist ornament: two open-mouthed dolphins decorate the upper half of Van Dyck’s self-portrait frame, growing from the flowing acanthus leaves at the crest, which melt on each side into the brow of the fish – whilst its snout in its turn transforms back into the concentrically scrolled three-dimensional volutes which are such a feature of Genoese Mannerism, as on the pediment of the Palazzo Tursi. In 1632, then, Van Dyck came to London. It may have been at that point or on a recent, abortive visit that he ‘lodged with his friend Geldorp’, a Flemish jack-of-all-trades in the arts, who lived at that point off Broad Street in the City. Geldorp made his living with a mixture of painting, restoring, dealing and framemaking, and was probably an immensely helpful friend to have, as well as a temporary base. Having finally attracted the king’s favour, however, Van Dyck was shortly established in his own lodging and studio at Blackfriars, with a very rapid knighthood, rooms at court, and from 1633 a pension of £200 a year. 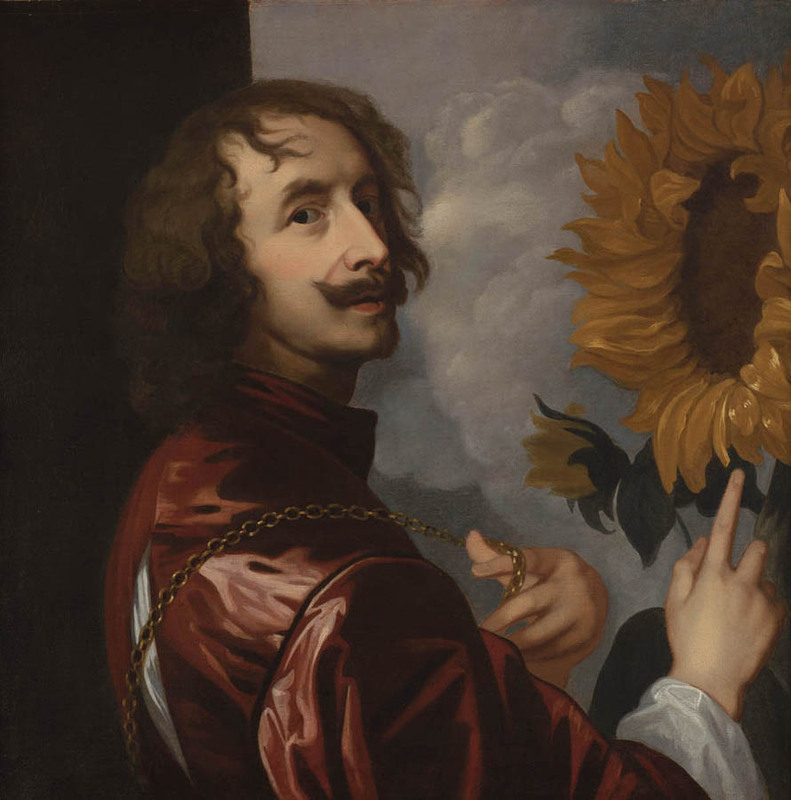 He produced a vast amount of work in exchange for this, and certainly earned the sunlight of Charles’s regard – which is usually the interpretation of Van Dyck’s association of sunflowers with his own image: that he turns his head towards the king, who blesses him with his warmth and favour. The sunflower is also the flower of Apollo, from the story in Ovid’s Metamorphoses of Clytie, a nymph who fell in love with the sun god and was abandoned by him. She sat for nine days, watching the progress of the sun’s chariot across the heavens until she became a sunflower, which turns its head towards the sun. Van Dyck’s use of this emblem thus has a double meaning, referring to his own dedication as an artist to Apollo, god of the arts, as much as to his place in the service of a beneficent king. 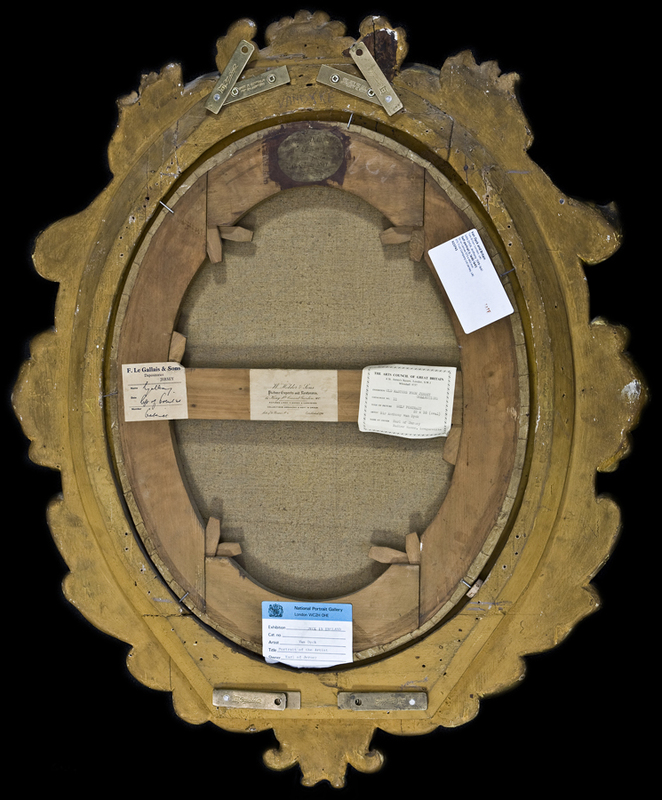 As well as producing works inspired by Apollo, his service included the procurement – and almost certainly the choice – of picture frames for the portraits he was painting for the king. In 1638, for instance, he was to send a ‘Memoire’ or invoice to Charles I which included entries for two portraits of the king delivered in their frames (‘avecq sa mollure’), and carried over a sum for further frames delivered earlier (‘Pour mollures du veu conte’. Unfortunately we have no idea what these frames might have looked like, but presumably they would have been influenced, not only by the frames of the paintings in the Mantua collection, which had made such an impact on a British court used to the plain ebonized and parcel-gilt cabinetmakers’ frames of the 16th century, but by the frames in use in Genoese and Roman palazzi of the early 17th century. They may well have had a strong Mannerist element. Having failed in 1620 to retain Van Dyck as the resident designer at the Mortlake tapestry works, by 1624 Charles had employed Francis Clein in the post. Clein was a versatile German artist in his early forties, capable of producing decorative painted schemes as well as designs for tapestries, and fresh from the court of Christian IV of Denmark. He could turn his hand to designing furniture, as well: there are two sets of Mannerist sgabello or shell-backed chairs credited to his design, one in the V & A, and one in Lacock Abbey. In the late 1630s, he would be responsible for much of the decorative painted work of that era at Ham House, comfortably close to Mortlake. The Mortlake tapestry factory had been installed in the former house of Dr John Dee, astrologer and alchemist to Elizabeth I, on an estate on the south bank of the Thames, by its founder and director, Sir Francis Crane. Crane was a civil servant and secretary to the Prince of Wales; he had been given an initial sum of £2,000 together with an annual grant of £1,000 by James I to set up and run the factory, an amount which was practically doubled under Charles I.
Crane employed a Flemish weaver from Paris, Philip de Maecht, to run the practical side of the operation; with a work-force of around fifty other immigrant weavers and an experienced designer in Clein, the factory began to turn out a stream of high quality work, and Crane himself increased in wealth, property and status. One of his assets was that in Clein he possessed a designer who could not only adapt the output of other earlier workshops for the Mortlake weavers, but could translate classical paintings (as well as contemporary work) into tapestries, and could add beautifully-considered fictive frames. 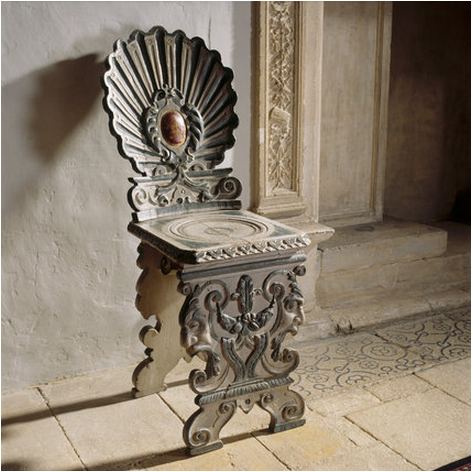 His ability to interpret carved wood in silk and wool was evidently underpinned by his ability in designing furniture. An example is the version of Titian’s Supper at Emmaus at Hardwick Hall, which has an illusionistic aedicular frame in Mannerist style. Unlike so many 17th century Flemish tapestries, which have decorative borders only approximating to picture frames, with over-sized ‘mouldings’ mixed with realistic objects and fantastic elements, this example by Clein is a remarkably convincing version of a carved giltwood frame, even down to the ‘engraved’ arabesques on the cushion frieze at the top. Another interesting piece from the Mortlake workshops of this time is a three-quarter-length tapestry portrait of Sir Francis Crane himself, again with a realistic ‘giltwood’ frame. It has been dated to 1626-36, but shows a much younger, more suave and courtly figure than in Van Dyck’s portrait of Crane in (probably) the late 1630s. 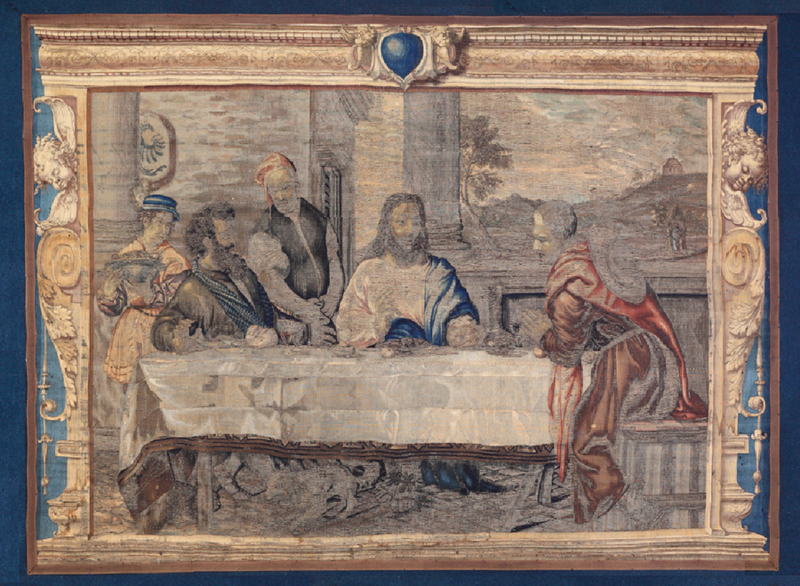 Like the tapestry after Titian’s Supper at Emmaus, it has an integral border which actually looks like a carved and gilded frame, and which is set on the complementary blue ground favoured by Clein in his designs for Mortlake. In the light of this woven portrait of Crane, it is particularly interesting to find another tapestry portrait in the collection of Lord Sackville at Knole: a copy of the double portrait by Van Dyck of himself with Endymion Porter (the painting now in the Prado), in a fictive frame which is extraordinarily close to the actual frame of Van Dyck’s Self-portrait. Sadly the painted portrait has had its original frame replaced by a gallery setting, but the tapestry version seems to indicate that Van Dyck’s single and double self-portraits may originally have had the same carved and gilded Mannerist frames. Jacob Simon notes that Van Dyck also produced a drawing of a motif which may have been intended for the crest of a frame. 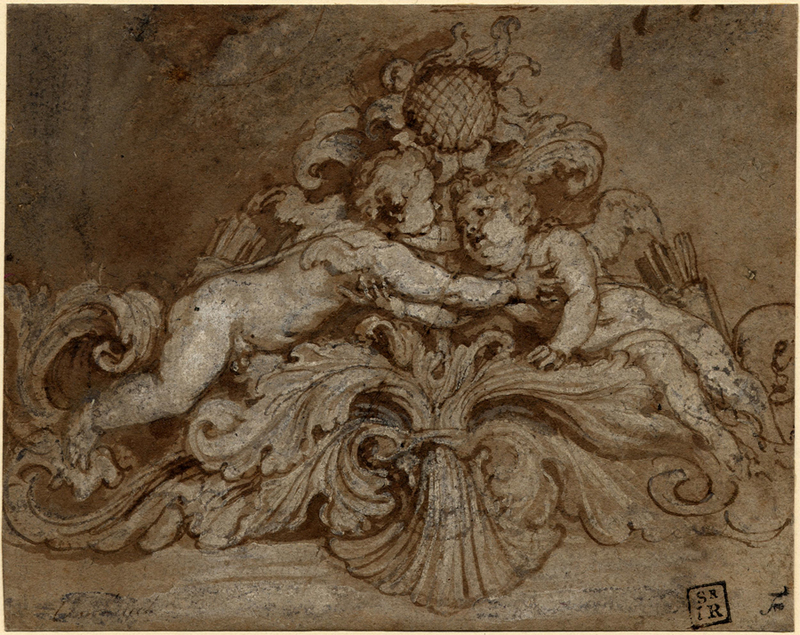 Again, it incorporates a sunflower and scrolling acanthus leaves; the flower is supported by two putti who lean to embrace each other, and the bands of white across the bottom of the drawing indicate the mouldings at the top of the frame . Possibly it might have been an idea for the frame of a subject such as his double portrait of Charles and Henrietta Maria (pre-1634, Kroměříž Archdiocesan Museum, Czech Republic), taking up and emblematizing the idea of marital fidelity, which is expressed in the painting by the myrtle leaves the couple exchange . 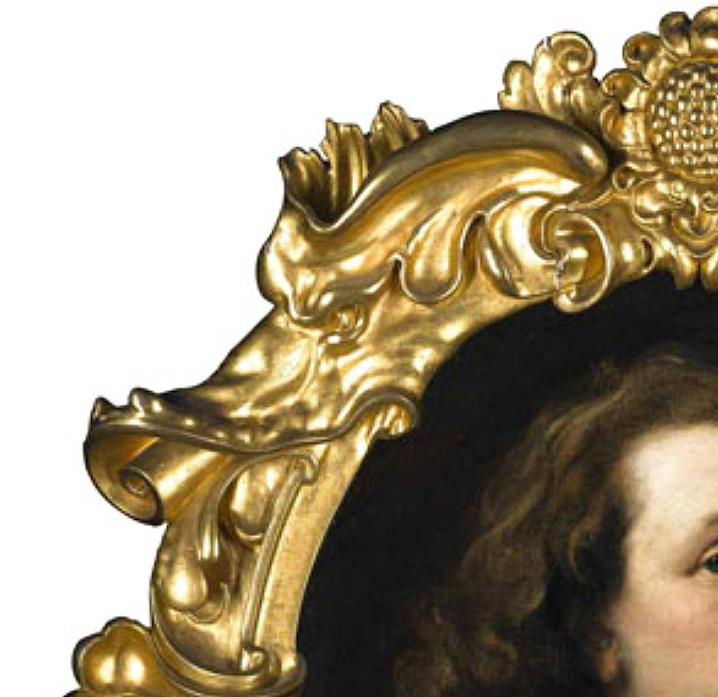 It certainly seems to confirm Van Dyck’s active interest in the design of frames for his work. In the group of artists and craftsmen at Charles I’s court, we therefore have Van Dyck himself, who had a training in tapestry design, a knowledge of Mannerist design and architecture, and had ordered picture frames for the portraits he painted for the king – had possibly even designed frames, or elements of frames. We have Francis Clein, an artist who painted portraits, designed tapestries with convincing fictive frames, and produced designs for Mannerist furniture. There is also George Geldorp, framemaker, portrait painter and agent: like Van Dyck, he was Flemish, and had been admitted to the same Antwerp guild in 1610 to which Van Dyck was admitted eight years later. By 1636 he was living, like Van Dyck, in Blackfriars, and had an illustrious client list, including Lionel Cranfield, 1st Earl of Middlesex, who spent the vast sum of £114.10s on paintings and frames (three of them of the Royal family) in that year . 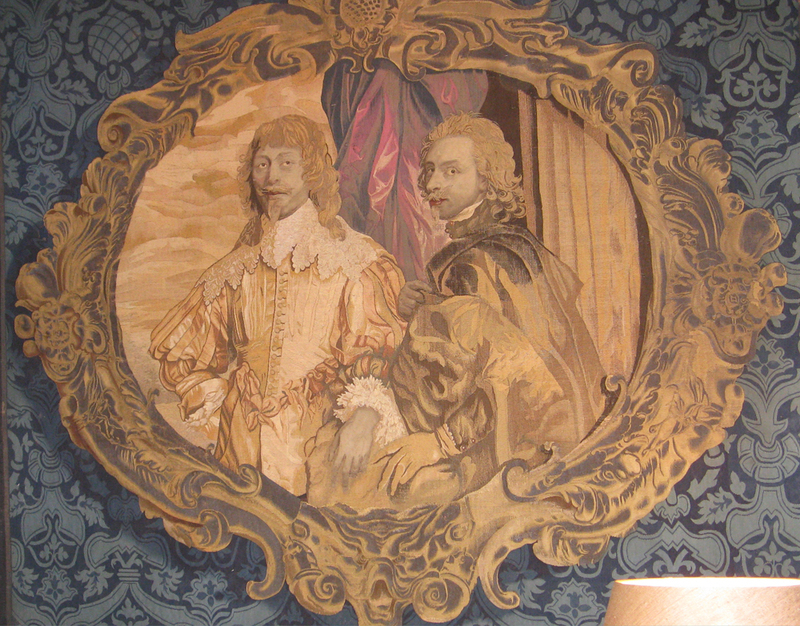 From some probable combination of design and construction amongst these men and their circle may have come the fictive frames of the two tapestry portraits, and the actual giltwood frame of Van Dyck’s Self-portrait . The dates can only narrow the genesis of these various objects down to a slot of about eight years: the tapestry double portrait of Van Dyck and Porter could not have been woven before 1633, the approximate date of the painted version (although it could of course have been woven later); the tapestry portrait of Sir Francis Crane by Clein has a decade-long date, from 1626 to 1636 (when Crane died); and Van Dyck’s Self-portrait was painted (and presumably framed) in 1640-41. The tapestry double portrait now in the Sackville Collection is presumed to have arrived there as part of the inheritance brought by Frances Cranfield, daughter of the 1st Earl of Middlesex, through her marriage with Richard Sackville of Knole, and therefore must have come into the Earl’s possession when he was filling his new house, Copt (or Copped) Hall in Essex with treasures, between 1633, and 1645 when he died. He might have acquired it, like the portraits and their frames mentioned above, from George Geldorp. Both it, and the tapestry portrait by Clein, may have been survivors of a larger group of court portraits, intended for some particular hanging in one of the Royal palaces; or have been part of a commission by a courtier such as the Earl of Middlesex. In the reign of Charles II, in 1672, five Royal portraits would be used in the same way as tapestry designs, albeit at full-length, for portrait-panels of James I, his queen, Christian IV of Denmark, Charles I, and his queen, the last two from Van Dyck’s paintings (Houghton House, Norfolk). 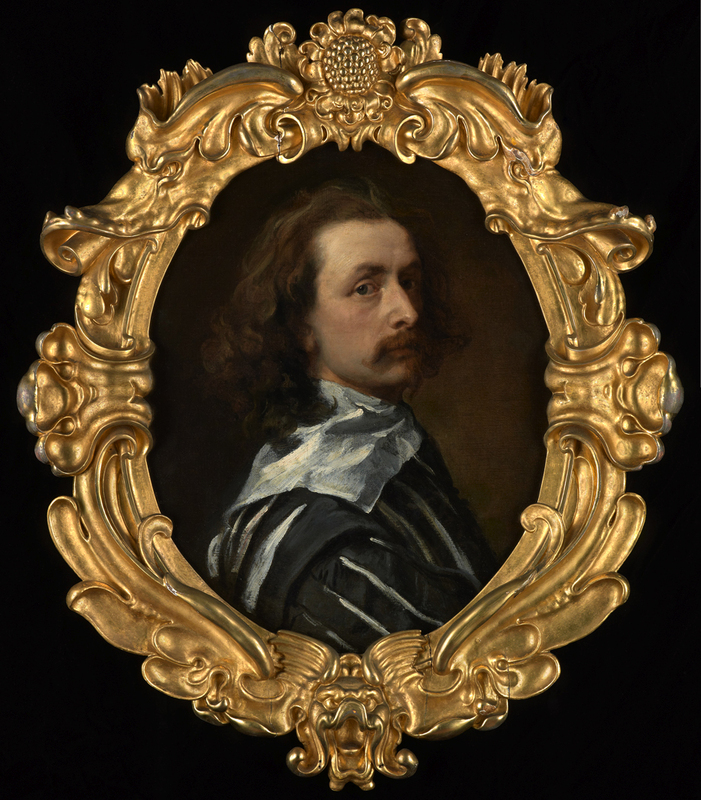 This article assumes that Van Dyck intended this extraordinary Mannerist frame for his own 1640-41 portrait (because of the sunflower); although it may be noted that the oval portrait of Sir Arthur Hopton, painted in 1638, is only a couple of centimetres larger.. Unless the frame were carved at the same time as the presumed wooden frame for his double portrait with Endymion Porter (the earlier painting of the two), it may not be the first realization of this pattern. It has aspects of Clein’s Mannerism, but is more fluid and melting, in the Auricular style; it is more structured than Netherlandish Auricular forms, and is strongly influenced by Italian Mannerist designs and motifs. The sunflower at the crest was used by Van Dyck to some degree as his emblem, indicating fidelity to the king, and also to Apollo. The dolphins which morph from acanthus leaves on the upper sides are also associated with Apollo, whilst in Christian symbolism a dolphin stands for Christ. There is a third dolphin head at the base of the frame; its raised fins melt into wings with long, curling plumes. The frame is carved from oak, which was still used for English frames in the first half of the 17th century; by the time of the Restoration, the framemaking trade had moved on to pine, which is faster-growing, cheaper, and softer . William Dobson’s self-portrait was painted only four or five years after Van Dyck’s. Dobson was twelve years younger than the Flemish master, and had been forced to earn his own living from the age of fourteen, his father having lost his fortune. In his early twenties he went to work, with splendid symmetry from the point of view of this article, for Francis Clein, and was almost certainly involved to some extent in designing for the Mortlake tapestry works . He also studied fine art at first hand from the paintings in the King’s collection, and may, just possibly, have been a pupil of Van Dyck as well. His earliest surviving portraits seem to be those of Abraham van der Doort, in the Hermitage, another self-portrait (private collection), and its pendant, his second wife’s portrait (Tate) – all c.1634-40. Everything else he painted that we still possess dates from after the death of Van Dyck, when Dobson seems informally to have replaced him in the service of the king. The Dobson self-portrait is exactly the same size as Van Dyck’s, and is posed and lit identically, although it is sited better within the space of the frame. Unlike the earlier painting, however, it does not show the artist as gallant courtier, favoured of Apollo, but a man older than his years, who has seized the impetus of events to forward his career in the midst of a terrifying political situation. Van Dyck had died unexpectedly, at a peak in his own career, and at a point when the country’s drift towards civil war might still perhaps have been halted. Dobson lived through the first four-year stage of the war, and by the time he died, aged 35, his king had been imprisoned and the world in which he had grown up had vanished. Dobson’s art is one of earthy realism touched with the tragedy of transience, both fully realized in his last self-portrait. The subsequent history of neither portrait is entirely clear. In 1641 Peter Lely arrived in London, and by 1646, with Dobson and Van Dyck both dead, he was in a position to succeed as court painter. With the death of the king in 1649 he moved circumspectly on to record the faces of the Protectorate and then of the Restoration. He began to collect paintings in about 1650, and may have acquired Van Dyck’s Self-portrait around then – possibly from George Geldorp – as he seems to have based a self-portrait drawing of his own on it (1650, private collection). He certainly used it as the inspiration for his 1660-ish painted Self-portrait (National Portrait Gallery). ‘Of Sir Anthony Vandyke, being his best Pieces. It was ‘Bought by the Earl of Newport for £34’ (o tempora, o pretia) . 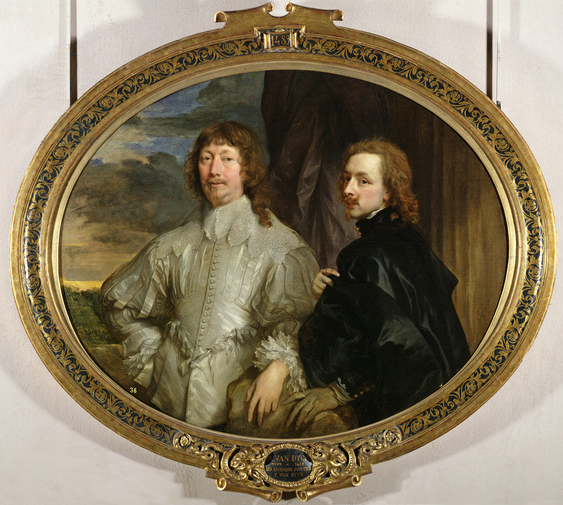 Also in the sale was the oval portrait of Sir Arthur Hopton (recorded as ‘Sir Arthur Hopkins in an Oval’, with the same dimensions as the Van Dyck): Lely had owned both of them. The Earl of Newport who bought what is almost certainly the Self-portrait considered here was Francis Newport, 1st Earl of Bradford, who died in 1708. The whereabouts of the Dobson at this point seems to be unrecorded. Sometime between 1682 and 1708, but more probably after Newport’s death in 1708, the Van Dyck Self-portrait was acquired by Richard Graham (fl. 1695-1727), and at some point he also acquired the Dobson Self-portrait. 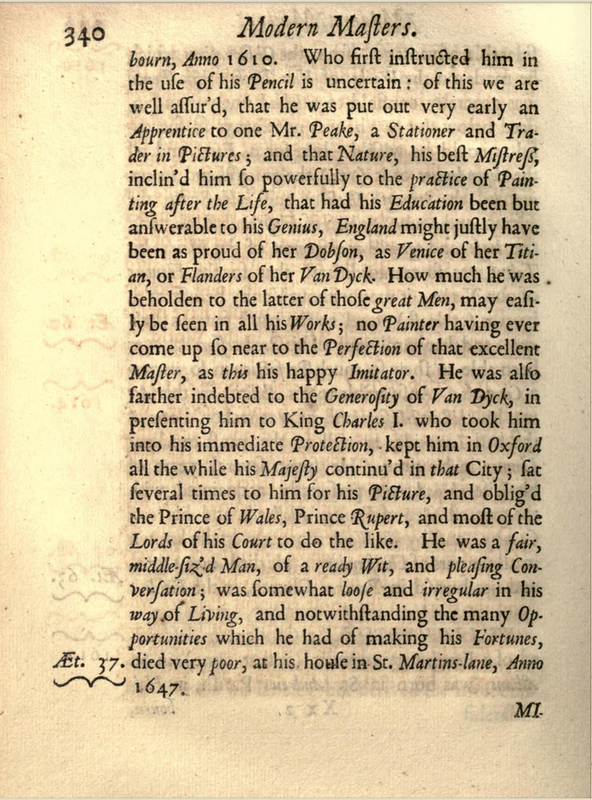 Graham was an art historian, and in 1695 had written ‘A short account of the most eminent painters both ancient and modern’, published by Dryden in his translation of De arte graphica, in which Graham referred to Dobson, rather unfairly, as Van Dyck’s ‘happy Imitator’. This may indicate that he was the person responsible for framing the Dobson Self-portrait in a replica of the frame on the Van Dyck, making the one an even happier imitator of the other. The Dobson frame is made of pine, suggesting that it dates from after the Restoration, rather than oak, like the Van Dyck. It differs subtly from the Van Dyck frame at the front, and more overtly at the back; both frames have been regilded. 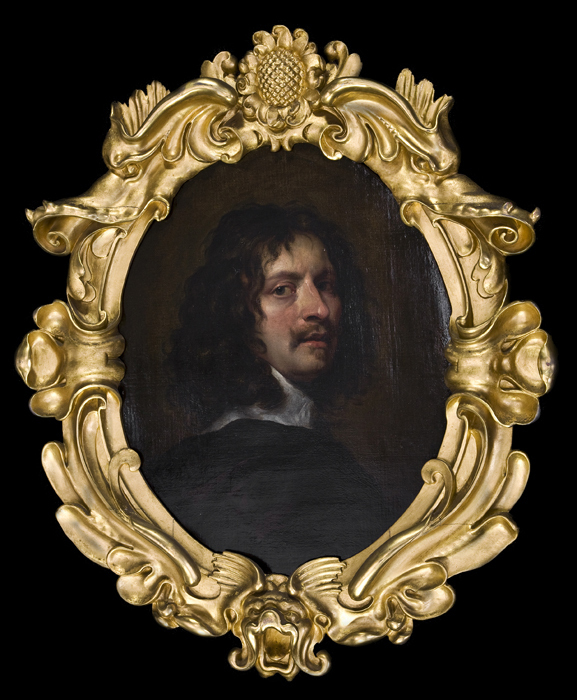 There is no clue as to where the Dobson was before it surfaced in Richard Graham’s collection; if its frame is earlier than his ownership, it must have lodged somewhere within reach of the Van Dyck and its frame for copying purposes, yet it appears neither to have belonged to Lely nor to the Earl of Newport. Once the two portraits had come together in the same collection, they were to remain together for the next 300 years. In 1712 Graham put them up for sale, and they were bought by a Mr Child, of the banking family. In the 18th century the Childs married into the Villiers family, and both portraits came into the possession of the Earls of Jersey, where the Van Dyck remained until 2009, and the Dobson is still. It is to be hoped that they and their frames may soon be reunited in the National Portrait Gallery. With many thanks to Jacob Simon for letting me use his notes, and with gratitude to all the people who have helped with the images for this piece. For all the freshest and most comprehensive information on William Dobson, see Waldemar Januszczak’sk website. Ibid. The French factory was a 1607 expansion, in the Hôtel des Gobelins, of the existing workshops. 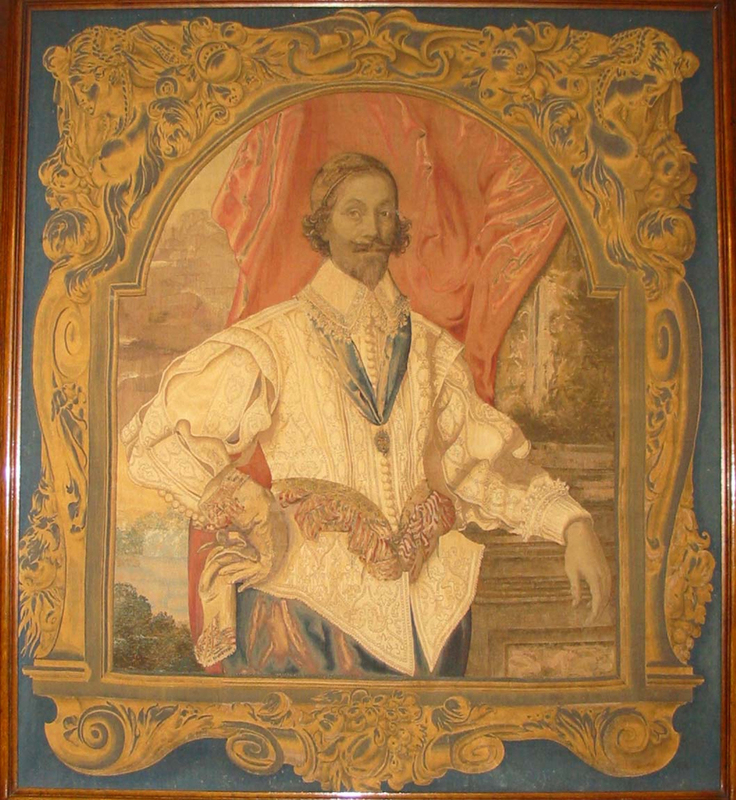 Elena had married the Marchese Nicola Cattaneo, a relative of the Genoese dealer for whom the Decius Mus tapestries had been designed, which would have served as Van Dyck’s introduction to the family. Michael Bury, ‘The Grimaldi Chapel of Giambologna in San Francesco di Castelletto, Genoa, Mitteilungen des Kunsthistorischen Institutes in Florenz, 26 Bd., H. 1, 1982, pp. 85-128. Anecdotes of painting in England: with some account of the principal artists; and incidental notes on other arts; collected by the late Mr. George Vertue; and now digested and published from his original MSS. by Mr. Horace Walpole. The second edition. … [pt.2], p.161. ‘Ashmole’ is Elias Ashmole, whose collection was the foundation of the Ashmolean Museum, Oxford. In the Metamorphoses, Book IV, Clytie was abandoned by the titan Helios who drove the chariot of the sun; but Helios is often conflated with Apollo, the sun god and the god of the arts. 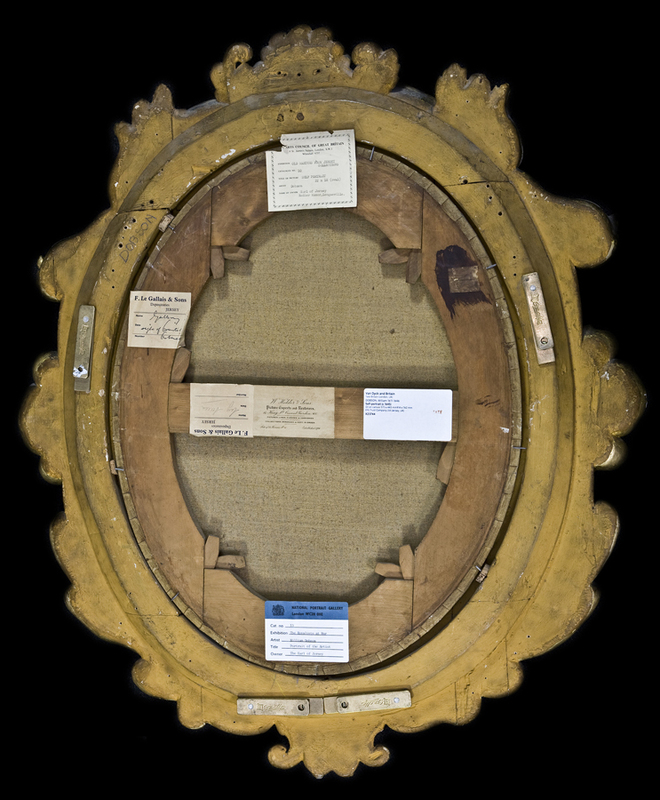 Jacob Simon, unpublished notes on Van Dyck’s Self-portrait frame. Jacob Simon has suggested that it might have been intended for the frame of Van Dyck’s Cupid and Psyche (1639-40, Royal Collection). British picture framemakers, op. cit. Simon Stock has also suggested that Francesco Fanelli, ‘the one-eyed Italian’ sculptor, might have been involved in the design of the frame; he was working for the court of Charles I from 1635 – except for a period away in 1639 – until the mid-1640s. See Fanelli’s work in the V & A.
 Hopton was a noted connoisseur and acted as agent for Charles I, helping to procure paintings for him; he might also be considered an adherent of Apollo. See notes on the sale of the portrait of Sir Arthur Hopton by Van Dyck, Sotheby’s, 4 September 1997. Jacob Simon, unpublished notes; op. cit. Waldemar Januszczak suggests that ‘Dobson collaborated with Cleyn on the surviving tapestries at Ham House’; although the only example remaining from the c.1655 Ham House inventory dates from c.1619-24 (Helen Wyld, op. cit., p.178-79), at least eight years before Dobson started working for Clein. Lely began his working life in London in George Geldorp’s studio: see Brandon Henderson, Sir Peter Lely (1618-80): Dutch classicist, English portraitist and collector, 2001, p.12. See Editorial, ‘Sir Peter Lely’s collection’, The Burlington Magazine, LXXX, 485, Aug.1943, p. 187, for the entry from the sale catalogue; and Diana Dethloff, ‘The Executors’ Account Book and the dispersal of Sir Peter Lely’s collection’, Journal of the History of Collections, VIII, 1, 1996, pp. 18,29, for the buyer. Van Dyck’s oval portrait of Hopton was bought by Sir James Oxendon, and sold out of his family in 1931.